It’s a bit special (and I don’t like Pullman much).. Thanks to Ascetic Monk. Usual rules apply. Well, I’m no massive Philip Pullman fan (despite his obvious love of Paradise Lost, a book which I wrote my dissertation on). 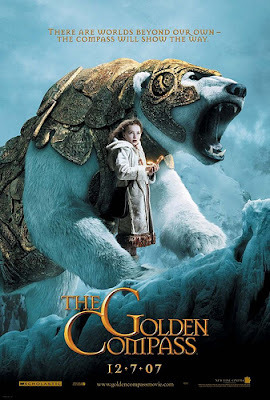 But the film of the first book, Northern Lights, looks like it might be halfway decent (even if it shouldn’t be called the Golden Compass). What’s even more impressive than the trailer is the work that’s gone into the microsite. It’s damned brilliant. The clever bit is that you can amend mine (and I can amend yours, if you put it on your blog or MySpace/Facebook). As a result, I can find out what animal my friends think I am, and what personality traits you think I have (or don’t have, as the case may be). This is a great example – along with the Simpsons avatar generator – of an infectious, relevant, interesting bit of digital work. Does anyone know which agency did the work? I couldn’t find out. Whomever it was, congratulations – it’s the first ‘branded entertainment’ site in a while that I’ve stopped and played with. How can you not be a huge fan of this series? I just think that they are BRILLIANT books! Amelia – a friend of mine lent me Northern Lights a few years ago, and I didn’t really think much of it…but I think I’ll give it another go at some stage.If Pullman rates Milton, I probably should have another go.